Several batch-verification algorithms for original ECDSA signatures are proposed for the first time in AfricaCrypt 2012. Two of these algorithms are based on the naive idea of taking square roots in the underlying fields, and the others perform symbolic manipulation to verify small batches of ECDSA signatures. 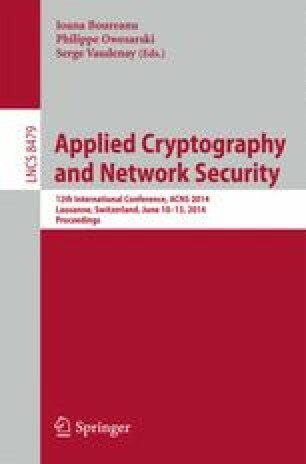 In this paper, we use elliptic-curve summation polynomials to design a new ECDSA batch-verification algorithm which is theoretically and experimentally much faster than the symbolic algorithms of AfricaCrypt 2012. Our experiments on NIST prime and Koblitz curves demonstrate that our proposed algorithm increases the optimal batch size from seven to nine. We also mention how our algorithm can be adapted to Edwards curves.